Ladies...I've gotta be honest. I could REALLY use your help. 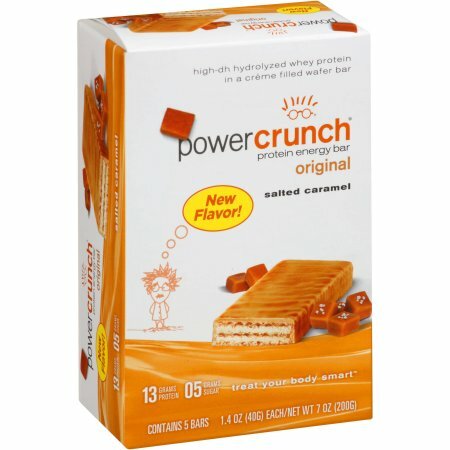 I stepped out of my breakfast comfort zone and now eat a Salted Caramel Power Crunch Protein Bar every morning. Listen, they're tasty and easy so I'm a big fan. But I'd love to change it up a bit and keep breakfast easy. And, I'm starving by 10:15 a.m. I usually eat lunch at 10:30 and a hefty snack at 2:00. I wish I was kidding. No joking here. *What do you guys eat for breakfast? *Do you know any super easy, yummy breakfast ideas? Seriously, would LOVE to hear any and all ideas! Thank you! Thank you! Thank you for sharing! Did you know that you can scramble an egg in the microwave? Most mornings I just toast some Arnold's Whole Wheat toast with a little butter and it's delish. Sometimes though, I'll crack an egg in a small bowl, whisk it, and pop it into the microwave for 45 seconds. Once it comes out, chop up the egg a little bit and put it on toast mentioned above! Easy peasy! You CAN have a burrito though :) On a Sunday, scramble eggs and veggies together, add cheese and whatever meat you want. Wrap it up in a tortilla, wrap in saran wrap and then aluminum foil. Throw in your freezer and then in the morning, throw them in the microwave for minute or two. So good! My other go-to is a smoothy. I freeze a banana and a large handful of spinach. Throw that in the blender with a couple strawberries, coconut water and cacao powder. It's delicious! One piece of toast with peanut butter plus a banana! Best breakfast ever! Also great pre workout energy. I eat that every morning at 5, workout at 5:30, and drink a premier protein shake about 7. And I'm with you, lunch is at 10:30 am sharp! Every morning I melt a slice of cheddar cheese on a corn tortilla, mash some avocado on top, then fry or scramble an egg or two on top of that. Drizzle some chilula sauce and voila! So yummy and totally easy clean up since it's all in one frying pan. And your kitchen stays clean!!! Okay, I tried this and maybe I did something wrong? When the egg went from frozen to cooked it became a weird consistency. Is this normal? Or you think I messed up? I'm a big peanut butter girl!!!! Sounds great! Thank you!! I do a smoothie everyday, just some,protein powder and some frozen fruit with almond milk. If I'm going out for breakfast I always order eggs. Loving these ideas! My go to is plain Greek yogurt topped with walnuts and honey! My kids love the incited chicken bacon by al fresco I put them in the microwave for 20/30 seconds and done! No mess and they eat it with a microwave pancake! Also they love Nutella and strawberry sandwiches! Overnight oats is my go to! I use mason jars and scoop 1 cup of old fashioned quaker oats with 1 cup vanilla almond milk into the mason jar and let it sit in the fridge overnight. In the morning it is the perfect consistency (and I didn't have to cook anything!). I usually top it with shredded coconut and sliced almonds, but you could do whatever toppings you want! Super easy and definitely keeps me full. Hope this helps! This sounds like my kind of breakfast! Thank you for sharing!! Sounds great! Me too!! I'm gonna be a new woman trying all these out next week! I've never tried that bacon!! Sounds great and so easy! Yes, ma'am-to the clean kitchen!!! Eziekel cinnamon raisin toast with peanut butter and banana!!! (Eating it right now) Keeps me full until lunch and never get sick of it!! Smoothies are awesome, also have you ever tried muesli? I buy Bob's Red Mill brand, it's really tasty. You can either eat it like cereal or let the milk soak in it for a few minutes before you eat and it softens up, or you could eat it over yogurt. I also love oatmeal (not the packets...actual oats) microwaved for a minute or two with almond milk, peanut butter and frozen berries. The microwave thaws the berries and makes the pb all melty. Just thought of something else! My kids love these, and they are so filling! https://www.google.com/amp/s/allrecipes.com/recipe/239969/no-bake-energy-bites/amp/ I sub pure maple syrup (not pancake syrup, but use the real pure stuff) for the honey and I sub shredded coconut for half the flaxseed. They are so delicious and make great snacks too!! I eat a Quaker real medley oatmeal every morning! I like the apple walnut one the best. They come in little cups. You just add hot water and put the top back on and let it sit for a minute. I always use my keurig to add the hot water (after making sure there isn't a k cup in, of course). They are so good! I actually wrote about food today and included my go-to breakfast! First, it's healthy and second, it's really filling!! I love 2 slices of Ezekiel bread toasted and I top with a little natural peanut butter. If I'm eating at home I add chia seeds so I can floss them out before I leave, but if I'm eating on the go, I top with a little apple butter. I am a big fan of hard boiled eggs, or little egg muffins with spinach mixed in them. I usually make everything on Sunday, then eat throughout the week! Crack an egg into a paper bowl, add a tiny bit of Season-All to the top, cover it and put it in the microwave for 70 seconds. Squeeze an avocado on top of cooked egg and mush it all up. Healthy, quick breakfast and no mess! I have green tea with it. I love it and have eaten it for the past 4 years. Get a Cuisinart egg cooker. You can make soft, medium or hard boiled, poached, and omelette. I love medium boiled over toast. Nothing to clean up. Love mine! I drink a protein shake with almond milk, powder peanut butter, 1/2 banana, and chia seeds I also like the evol breakfast sandwiches when I'm running behind and can heat it up at work. Or I eat an organic gluten free kid friendly cereal. There are some yummy ones out there! We are just too busy during the week to think about breakfast. The girls have sausage or toast. Hard boiled eggs, yogurt..... on the weekends I'll make pancakes or waffles. Greek yogurt and coffee. Every. Single. Morning. No time for a big fuss and I need the protein. Then usually a banana after my work out. Looking forward to reading suggestions! yogurt with granola, granola with skim milk and fruit, hard boiled eggs, banana with peanut butter, peanut butter or almond butter toast, egg muffin cups made on Sunday to last for a few days! having the same thing every day would be so boring to me!! I have waffles with peanut butter every morning, but what I really want is a breakfast burrito now after reading this. Ha! I like the microwave oatmeal cups. Also you could do egg myffins. Monday whisk some eggs and pour into muffin tins. Then add diced meat/veggies/cheese to your liking & bake. Refrigerate individually & microwave each morning how many you want. Greek yogurt with berries and granola...I get the individual Oikos yogurt and then need my berries and granola with some honey. Easy and quick. Protein shakes are easy for on the go make in the blender and drink while dropping kids off at school. Trader Joe's sells a great peanut butter that has flax and chia seeds mixed in so I spread that on seedy bread and top with banana slices. Yum! I have a multi-grain English muffin with honey roasted peanut butter every morning. :) It hits the spot after my morning workout! A container of vanilla greek yogurt with some granola dumped on top, and maybe some blueberries. I get stuck in breakfast ruts, too. Right now my go to is an organic chicken apple sausage (Apple Gate) and sweet potatoes cubes. The sausage I just microwave for a minute (no mess!) and the sweet potato cubes I make the night before - usually with our dinner and I just quadruple the recipe, then reheat in the morning. Protein filled breakfast and YUM! I typically do toast with peanut butter every morning! Or sometimes I like to made homemade granola and just stick that in a container to go. 1. toast with peanut butter or almond butter and sliced banana on top - yum! 6. my fav breakfast as of late is not necessarily clean but the yumminess aspect makes up for it....toast with pesto sauce, egg, avocado and peach mango salsa! Hope you find something that works well for you! I've eaten the same thing for breakfast for years! Turkey sandwich on a bagel thin. Toasted bagel thin, turkey, cheese, and Greek cream cheese for more protein and flavor. I prefer savory for breakfast. Enjoy! My favorite go to's are moderately healthy and very easy! Quaker Oat Lower Sugar flavored Oatmeal. This will stick to my guts til late in the morning to where I am not looking for a 10 o'clock snack. I eat at 7 a.m, and this will hold me til 11:30ish before I start feeling peckish. Oikos strawberry yogurt (the only flavor I can handle) and fresh strawberries. Sam's has the best strawberries right now. They're huge and delish! You can get 2 lbs for $5.98. They also double well for chocolate covered strawberries. Make ahead egg cups- you can add whatever you want! My favorite is sausage, spinach an cheese or ham,cheese and onion. They freeze well, so you can take a couple out the night before and warm for 30 secs to a minute in the microwave. Make ahead muffins. I'm on an apple and pumpkin muffin kick right now, so it's my favorite! But you can use Martha White Mix and it works just as well. Your sister girl, Shay's, Sausage Corn Muffins are another favorite when I am in the mood for savory! Otherwise, I also do a whole wheat english muffin with natural peanut butter, sliced banana, and organic natural honey. Since I work during the week and have middle school/high schoolers who have to eat fast before grabbing the bus, I am big into baking breakfast items from scratch on Sunday nights that they can eat all week long. They love two of these things so much that I have to remind them that in order for them to last all week, they can't eat them as a snack and dessert too. One is banana chocolate chip muffins, super easy recipe that can either be mini muffins or 24 reg size muffins. The second is an oatmeal chocolate chip cereal bar (see the chocolate chip trend runs deep with my girls) that is my favorite. And third is an oatmeal chocolate chip bake cut into squares and reheated for 30 seconds in the microwave in the morning. I would love to share any of the recipes with you. I think my mom drilled in my head that you MUST eat a good breakfast before you leave the house. Hahahahaha! You should just drive over to my house. I had avocado toast with sliced cherry tomatoes this morning ;) . Quaker Oat Lower Sugar Oatmeal packets! Delicious flavors, not high in sugar and tastes like regular flavored oatmeal. What I love about these is they hold me til 11:30 (I eat at 7 a.m) to where I am not ravaging the house for an unhealthy snack! I add Sunmaid raisins to the Cinnamon, Maple Brown Sugar, and Apple Cinnamon. Make ahead egg muffin cups--- you can make on Sunday and freeze, and take 1 or 2 out in the evening to defrost and eat the next morning. My favorites are sausage, spinach, and goat cheese and then ham, cheddar, and onion. Make ahead muffins. I am on a kick with Apple Pumpkin muffins and your sister girl, Shay's Sausage Corn Muffins! Delish and very easy! Plus it makes a ton! Martha White muffin mix is always a quick easy go to for this, as well. Also, I enjoy a whole wheat english muffin with natural peanut butter, natural organic honey, and sliced banana. Hope these help stir up your mix! Have you ever tried egg scramble cups?? You can make them ahead of time and store them to reheat for a few days. I usually make some on Sunday to last Mon-Wed.
You scramble egg, and add your favorite "toppings" like onions, green peppers, chopped breakfast sausage or bacon, mix it all together, pour into a greased muffin pan (3/4 full), top with cheese and bake :) They are tasty and easy!!! I make a bacon (pre-cooked turkey bacon), egg and cheese sandwich every morning in less than 5 minutes with only one dish to wash. I use this great little invention that you put your egg(s) in and cook in the microwave for 1-2 minutes, slap my turkey bacon in the microwave for 10 seconds and then toast my bread (or english muffin) in the toaster and put it all together. See the link below for the Egg Muffin cooker. It's awesome! This link is for Target but you can get them at Wal-Mart and most likely Amazon. My go-to breakfast is usually 2 eggs, over medium with hot sauce and half an avocado. It's sad that I wake up, get in the shower- and start thinking about my breakfast and how much I look forward to it. ha!! Every now and then to change it up I'll do a smoothie with spinach, plain greek yogurt, frozen peaches, a banana, and a little honey. I love anything that keeps my kitchen clean! I usually eat overnight oats. I just prep them the night before. In the winter I heat them up, in the summer I eat them cold. For the rest of the family I make breakfast burritos and keep them in the freezer. They just microwave and go. Literally no dishes and no mess. These are also great on the weekends or for after school snacks as your boys get older. They will be starving after school and sports and these are filling and full of protein. I love an english muffin with PB and bananas on it. Or my go to lately is a nutri grain waffle with vanilla yogurt and strawberries on top. I love egg muffins. Make a batch on Sunday and eat 2 a day for 6 days! You can add in anything you want like veggies, chicken sausage or when you are being less healthy, bacon cheese, you know whatever. They easily keep for 6 days in the fridge. And if you really don't want to make a mess, use a carton of egg beaters! Just bake and there you go! frozen fruit - blueberries, tropical mix, raspberries, berry medley, peaches, etc. I make these on Sunday for the week ahead. In the morning just mix everything together in the jar and enjoy. Healthy, delicious, and will keep you full and fueled all morning. My new quick go to are these Special K Crustless Quiches made with Quinoa! They are SO good and take 3 minutes in the microwave, low in calories & carbs and good amount of protein. I eat one of these with 1 piece of whole toast or half of a whole wheat English muffin with peanut butter! Located in the Frozen Breakfast Section at Kroger's or Larger box at Costco! I'm a little like Shay Shull when it comes to prepping for the week. On Sunday I mix 8 eggs, 1/2 cup milk, meat of choice, vegg, and cheese, pour into muffin pan. Bake for 25 minutes on 350. I store them in a zip lock and pop into microwave for 30 sec. My kids eat them too! You should Google "overnight oats." Mix up in a mason jar the night before, refrigerate and grab and go the next morning! Overnight oats...go to katheats.com for recipes! I am in love with the Kodiak cakes minute muffins or pancake cups. They are full of protein and fiber. I found themyself at Target, and they have a bunch of different flavors. Just add a little water, stir, and pop into microwave. I also love a slice of toasted wheat bread with peanut butter, a drizzle of honey, and sliced banana. Excellent topic! Checking out the comments! Fried eggs, smoothies, bananas and whole grain toast with peanut butter are our go to breakfasts. 1 spoonful of peanut butter. Just stir those all together in a mason jar and put them in your fridge over night. So tasty and they last awhile too! Does iced coffee count as a nutritious breakfast?! Ugh..I'm in a rut too, so these comments are EVERYTHING!! I do Quaker Old Fashioned oatmeal cooked in the microwave with a big scoop of peanut butter. Lots of fiber and protein and keeps me full until lunchtime! I don't eat eggs, but my roommate pops in a wedge of Laughing Cow with an egg & microwaves it. Talk about a dorm room hack. :) Another favorite is toast with avocado & red pepper flakes. The whole wheat toast stays in your stomach longer, the healthy fat in the avocado makes you feel full, and the flakes kick start your metabolism! And the most important part - it's delicious!! If you have time, you can throw an egg on top, which is good for protein. Enjoy! Another good one is a whole wheat bagel with peanut/almond butter & strawberries. 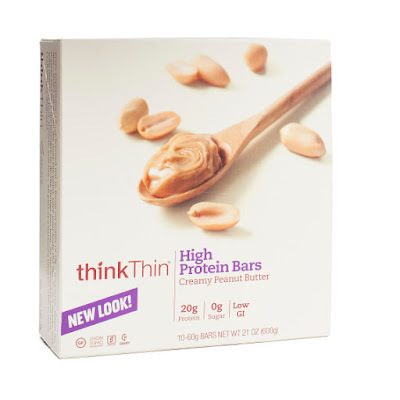 Easy to eat on the go & delicious. we make a big batch of turkey sausage balls once a week and pop a couple in the microwave for breakfast. It's 3 ingredients: turkey sausage, shredded cheddar cheese, and Bisquick. So easy and it holds me over to a mid-morning snack! Avocado toast! You can find lots of recipes on Pinterest but my favorite is just plain ol' avocado mashed up and spread on a big piece of toast (get the Arnold brand bread or something else that decent-sized, you could even use bread from the bakery at the grocery story, like sourdough or something), add salt and pepper. I've also added pomegranate seeds when I feel fancy...but the best kind is basic. If you want a little something more, fry an egg and lay it on top! 2 over medium eggs, 2 strips of turkey or regular bacon, and a quarter of an avocado. It keeps me satisfied until lunch, AND most importantly, because there's no sugar, (except for a tad bit in the bacon maybe?) I don't crave more sugar all day long like I do if I eat anything with sugar in it for breakfast. Your college breakfast made me laugh way harder than it should. Too funny. I'm not a fan of dirtying the kitchen so early either, especially since we're usually running out the door and I don't have time to clean it before we leave. I am a big fan of yogurt, granola and berries, an english muffin with pb, or waffles (I love Van's) with pb. These all leave me with just a dirty utensil and plate! Scrambled egg cups! You just mix up egg, diced meat (bacon, ham, etc. ), spinach, and cheese (really whatever you want), pour into a cupcake tin and bake. I like to use a silicone cupcake mold for the easiest non stick clean up! You can store them in the fridge to grab throughout the week. Easy and yum! There are a TON of recipes for breakfast things that you have the actually cook...but I am a preschool teacher so I need something super quick. So I usually just have a cup or two of cottage cheese and a Noosa yogurt! I know it's super boring but it's good and healthy! I will just never be that person to cook breakfast! Hope this helps! I"m sure others have already said this but make those breakfast burritos!! Just make a batch on Sunday, individually wrap them in foil then nuke them in the microwave (minus the foil) every morning for a protein and veggie packed breakfast! They are super simple to make!!! And you can change them up by what you fill them with. For the past two years I have been drinking the carnation breakfast essentials in the milk chocolate flavor. It is yummy and is healthy...I think. This week I felt like I was in a rut and English muffins sounded good. I have been toasting that and topping it with jalapeno cream cheese. YUM!! Peanut butter and jelly sandwich with a glass of milk. Keeps me good and full until lunch if I slather on the peanut butter. Also, two boiled eggs with salt and pepper on days I don't want sweet. I boil a dozen on a weekend, peel them all, and have breakfast for the week. My kids like them too! Look up Pioneer Woman's tips for perfect peeling eggs. If you follow it to the letter they peel so easy and perfect! I make a breakfast casserole on Sunday night, slice it in squares and keep in the fridge to warm up in the morning. It's hashbrowns, jennie o breakfast turkey sausage, scrambled egg and cheese. Simple and yummy! Smart Ones eggs, sausage, and cheese breakfast burritos. Get a big bag from Costco. Yum!! I'm dying at your college breakfast!!!! I eat a banana every single morning. Then we eat oatmeal, or scones, english muffins, dry quaker oats cereal etc! nothing too fancy over here! I make a big batch of muffins (often use my sweet bread recipes) & freeze. You can also make a big batch of pancakes, cool, stack with parchment or wax paper in-between each & freeze - pop them in your toaster oven or microvave. Every morning at work I crack one egg in a bowl, whisk it, microwave it for 40 seconds, and top it with a little bit of shredded cheddar. Voila! A perfect scrambled egg! It's fast and healthy and yummy! I always eat it with a side of fresh fruit - grapes, strawberries, blueberries, blackberries, and raspberries. I like the jimmy dean egg white sandwiches... quick in the microwave and they're reasonable on the calorie count. Or make a huge batch of waffles or pancakes and freeze them. Pop in the toaster and your good! I'm all about the kitchen staying clean! I am not a huge fan of breakfast unless it is for dinner. HaHa! I get up pretty early like you, but I just have coffee. About 9:30 I will eat a Cranberry Orange Belvita. It's like eating cookies! They have lots of other flavors as well. So yummy! It keeps me going until lunch which is typically around 12:15 or so. And you can eat it on the go! I have a breakfast essentials high protein vanilla drink that I love also with some kind of bar or something similar to what you have. Those 2 items easily hold me over till lunch and I eat lunch later than you do. I love having those drinks around, they make a great snack as well. Sandwich brothers flatbread turkey sandwich. Easy. Yummy. Low Calorie. Filling. I love the Salted Caramel Power Crunch Bar, but you should also check out the Wildberry Creme Power Crunch Bar if you like berries. It is my husband's hands down favorite, but I'm partial to the Chocolate Fudge one because it tastes like a Reese's cup!